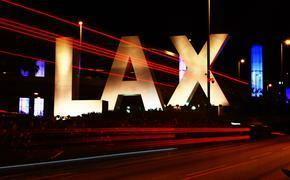 Air New Zealand is increasing its service to Los Angeles, San Francisco and Vancouver. The airline will move to 14 flights per week between Auckland and Los Angeles starting in mid June, with three flights on Saturdays and a double daily service most other days of the week. The additional Los Angeles services will be operated with a combination of 304-seat Boeing 777-200 and 332-seat Boeing 777-300 aircraft. Air New Zealand will use its 379-seat Boeing 747-400 aircraft on the Auckland-San Francisco route, operating the service five times per week from April and moving to a daily service during peak demand times. The Auckland-Vancouver route will move to five flights per week over the peak December-February period using Boeing 777-200 aircraft. Previously this route has operated between two and four times a week, depending on seasonal demand. The additional flights are on sale now and Air New Zealand is able to add further capacity into North America if there is sufficient demand.